East West Rail is a project to deliver a phased improved in rail capacity and journey times between Oxford and Cambridge and eventually to Norwich and Ipswich, starting from the west and moving eastwards. The first phase of the Western Section which enhanced the existing railway between Oxford and Bicester is already complete. The second phase through Milton Keynes is progressing through the design phases and expected to be completed by the early 2020s. 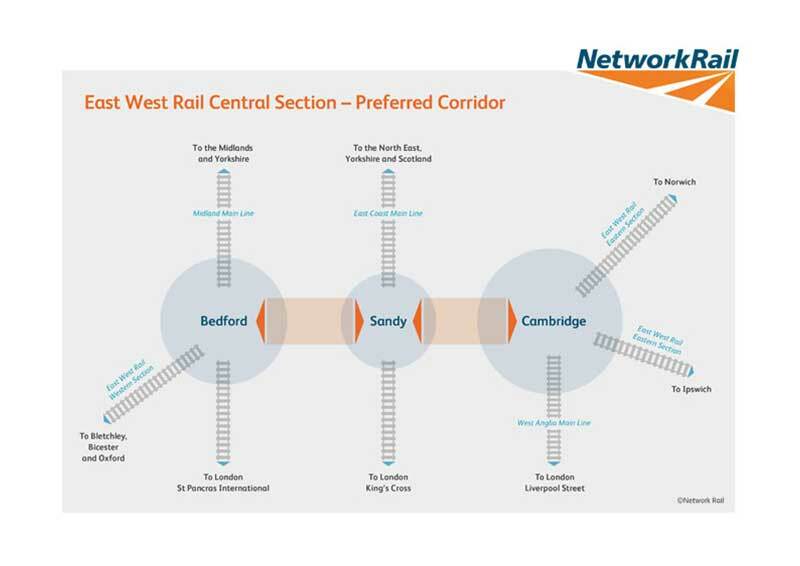 The Central Section, the missing link between Bedford to Cambridge, is still in its early planning stages. Refreshments available from 6pm. Car parking is available at the venue on a first come, first serve basis. If there are no spaces, there is a public car park opposite. John Lipscomb, a Chartered Civil Engineer, is a Senior Project Engineer with Network Rail.